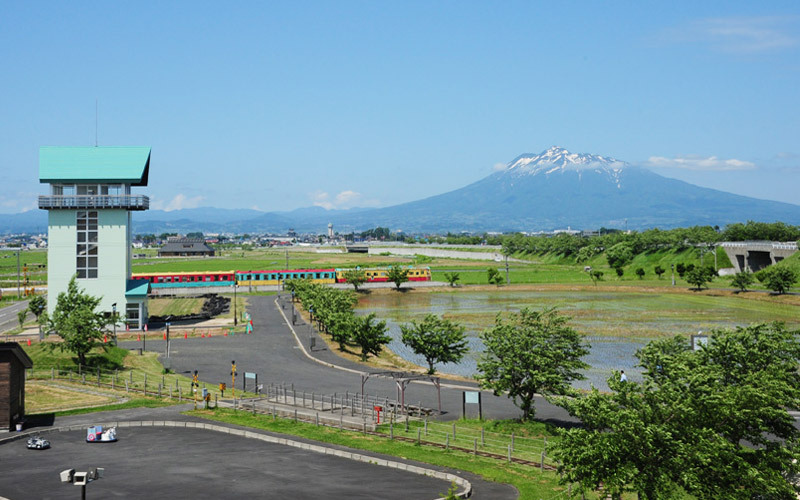 The city of Hirakwa is known for its rice and apple production. 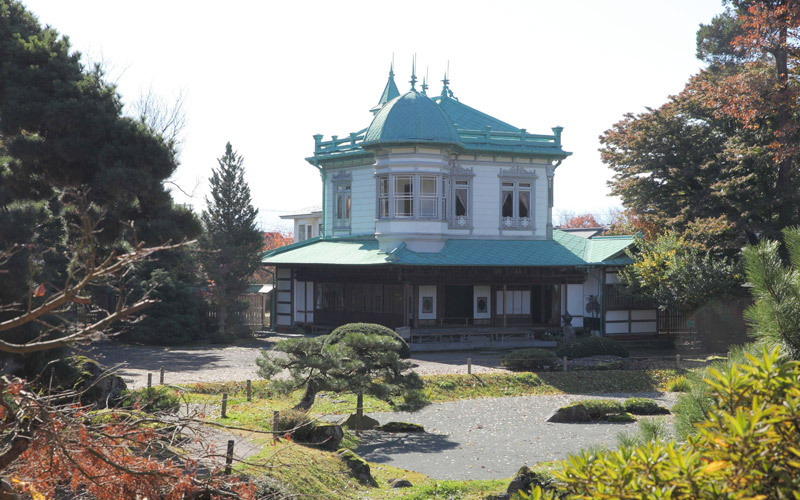 The city is home to “Seibi-en”, the setting for the Ghibli movie “the Secret World of Arietty”. 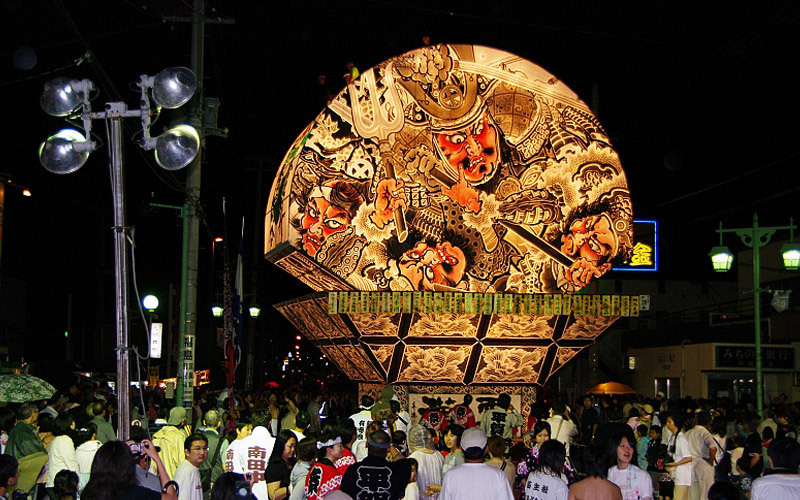 In the summer, the Hirakawa Neputa Festival is held which features the largest fan shaped float in the world. The largest fan-shaped Ogi Neputa (11 meters high) creates a magical sight in the darkness of the night. 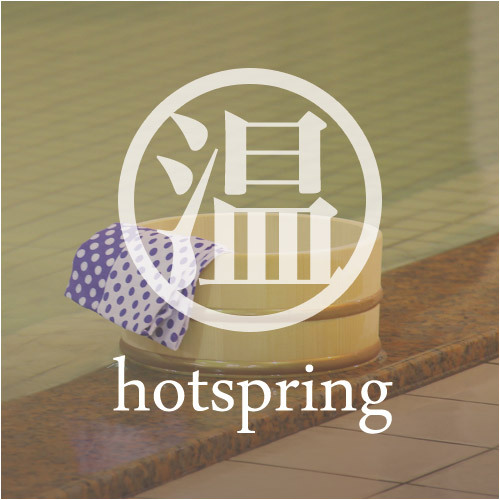 Get off at the “Hiraka” station. 5-minute walk to your destination. 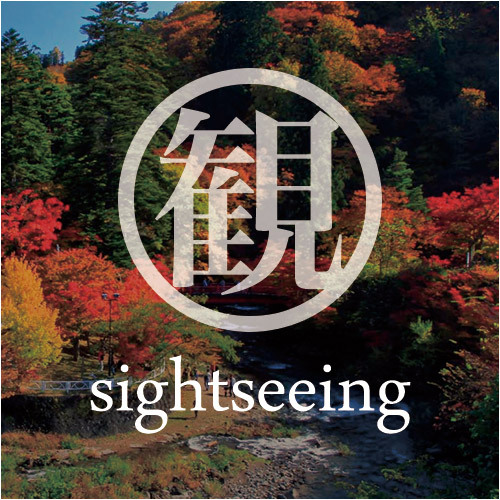 One of the three famous Japanese gardens from the Meiji period, it was used as the setting for a Ghibli movie. 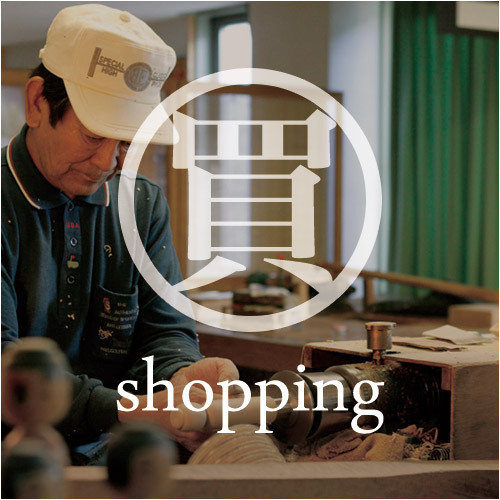 It features a blending of Japanese and Western styles. Get off at the “Tsugaru Onoe” station on the Konan Railway. 10-minute walk to your destination. Inakadate Village has long been a major rice producer. 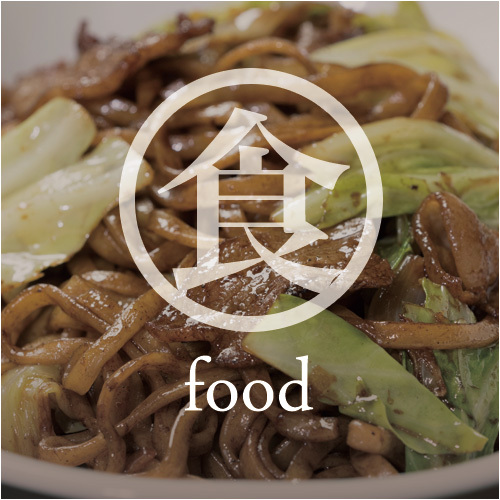 In recent years, Tanbo Art (rice paddy art) is attracting many visitors from all over the world. The town hall of Inakadate village, which is also the observation platform for the Tanbo Art, is also a popular sight with its castle like architecture. 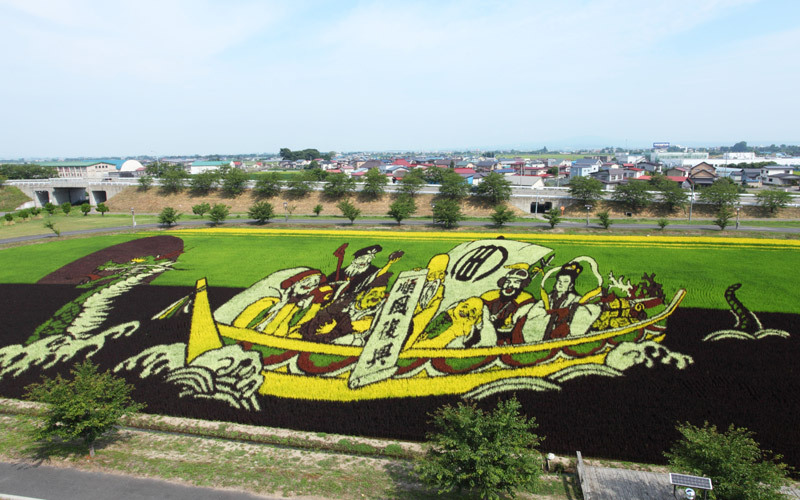 The “Tanbo Art” uses seven different colored rice plants as paint on a rice-field canvas. The art is delicate and also very detailed. Currently, this event is held at two separate locations. Free shuttle service between First and Second Venue is available during the period of this event. 5-minute ride by car from Konan Railway “Inakadate” station (25 minutes on foot). 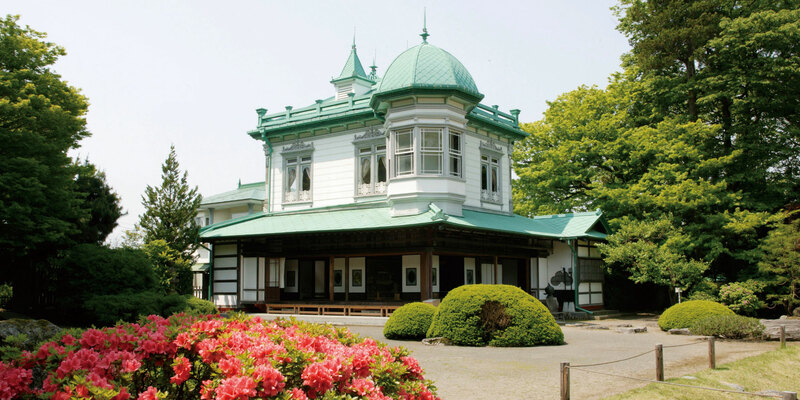 Visitors can access the observatory in the premises of the Inakadate Town Hall. Immediately off Konan Railway “Tanbo Art” station. Visitors can see the art from the Yayoi no Sato Observatory within the premises of the Michi no Eki Inakadate “Yayoi No Sato”.